General construction contractors are not typically regulated by Colorado, but are on the local level through municipalities, regional, or county regulatory jurisdictions that encompass each. 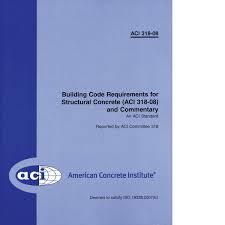 The municipal and local governments typically follow the Uniform Building Code. Plumbing or electrical contractors are regulated within the state level. How to Obtain a Colorado Contractor License? You may also contact your local or county municipality. Experience, Education, or Exam Requirements: Are They Required for a Colorado Contractors License? Some of the municipalities will require you to pass an exam before receiving a license for some or all types of building contractors. Authority to regulate will differ between municipalities and counties, as well as the regulation with a municipality or county. Even though there are general uniformity within the jurisdictions, there are also times when the local community, within the same area, will have different requirements for construction or installation of a specific task. There are more than 30 different jurisdictions within the six-county area that surrounds Denver. They operate more than just one community and may have a requirement to follow a separate building code procedure for the same task. It’s essential to check the regulations of the building, as well as the requirements for all of the jurisdictions in which you will operate in. Contractor Continued Education: Is it Required in the State of Colorado? NASCLA Accredited Commercial Contractor License: Is it Accepted in the State of Colorado? General Contractor Commercial Contractor License: Does Colorado Require It? Check with local municipalities and local counties. Check with local municipalities and counties. The majority of the counties and cities will require licensure and recognize the licensing purpose when it comes to the Reciprocal Construction Supervisor Exam (RCSE). In order to obtain the proper building permits for construction projects in the City of Denver, Colorado, each contractor needs to hold a license from Denver Community Planning and Development. However, prior to the contractor applying for their license, they must first apply for a Construction Supervisor Certificate or hire an individual who holds a certificate to supervise their projects. Class A Certificate Applicants- There is a requirement to have a minimum of 7 years of work experience in the field of building construction as a Field Engineer or General Superintendent. A degree in Architecture or Structural Engineering from and accredited university or college may count towards the 3 years of the experience requirement that is needed. The applicant for the certificate must also provide notarized letters verifying their projects. Class B Certificate Applicants- These applicants will need to have a minimum of 4 years work experience within the field of building construction as a Field Engineer or General Superintendent. There will need to be notarized letters proving the applicants work experience. The contractors that are applying for a Class B license also have the option of working under someone who holds a Class A Certificate. A degree in Structural Engineering or Architecture from an accredited college or university may count toward 2 years of the work experience requirement. Class C License Applicants- These applicants must have a minimum of 2 years work experience in the field of building construction as a Journeyman, Carpenter, or Foreman. Notarized letters proving the nature of the applicants work experience are required. Class C license applicants also have the option of working under someone who already has either a Class A or Class B Certificate. One year of experience as a Designer or Draftsman may also count toward the requirement for work experience. Prior to a contractor bidding on or beginning any project requiring a permit in the City of Colorado Springs, CO, they must first obtain a license. The licenses are typically issued by the Pikes Peak Regional Building Department (PPRBD). Contractors have the option of choosing a Class A,B or C license in addition to other specialty trade classifications that they hold or wish to obtain. There is also a requirement to provide three references, such as a relative or PPRBD employee, who can verify the contractor’s past work experiences. Before the submission of their license applications, the contractors is a requirement to pass a written exam with a minimum score of 75%. Exams are administered by both, the PPRBD and the ICC. The PPRBD administers exams Monday through Friday, within the timeframe of 8am to 12pm, except for the holidays. There is a cost to take the exam, and it is $100. The PPRBD recommends that the contractors should submit their license application two days before their scheduled test. Applications are reviewed when the Building Committee meets on the each Wednesday that is the first one of each month. It is a recommendation that the license application and all required documents should be submitted to the PPRBD two weeks prior to the Committee that is scheduled to meet. Contractors will also need to prove that they hold worker’s compensation insurance (if they plan to employ workers) and general liability insurance at the time that the license is issued. 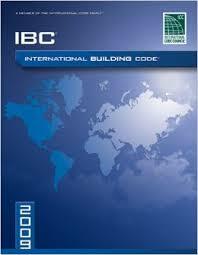 The City of Boulder, Colorado regulates their construction industry by making sure that contracting businesses and individuals have the needed knowledge of International Building Code to finish the work on construction projects. Except for an owner/builder, each contractor is required to hold a license from the City of Boulder Planning and Development Services prior to beginning work with a construction project. 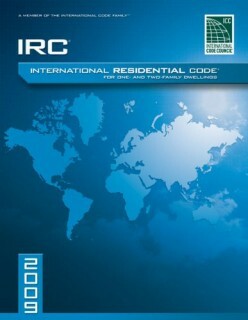 Applicants need complete to pass a written exam, administered by ICC. 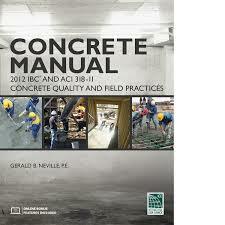 To obtain more information on the exam, contact ICC. Licenses are good for one whole year, and they set to expire on the date that they were issued. For the renewal time, contractors are required to pay the license fee again. General Contracting businesses and individuals in Fort Collins, CO need to obtain a license prior to beginning work on any construction project within the city. Licenses are have a requirement to obtain the necessary building permits. Contractors also need to hold a supervisor certificate and pass a written exam; or they must employ someone who holds the certificate, as well as passed the ICC exam. The application asks the contractor to specify the classification of the license that they wish to receive, such as a Class A, B or C license. It also will ask if the applicant is applying for a license, license and certificate together, or a certificate only. If the person who is acting as the supervisor is different from the license applicant, there will need to be two separate applications. The contractor must provide proof that they worked on, supervised and completed at least three separate construction projects. They must also attach three separate General Contractor Project Verification Forms with their completed application. *The individual who is filling out the project verification must have direct knowledge of the applicant’s work, as well as proof that they were directly involved in the construction project. General Contractors within the City of Pueblo, Colorado must hold a license from the Pueblo Regional Building Department. To be eligible for a license, contractors need to designate a qualifying person within their company to complete and pass the ICC exam. The qualifying individual also needs to provide three valid references. Class A License- must have 5 years work experience as a Foreman or Superintendent. If the contractor has 3 years of experience as a Designer, Estimator or Draftsman, it may count toward the work experience requirement. A degree in Architecture or Engineering may also count towards the experience requirement. Class C License- must have 2 year of work experience as a Foreman or Superintendent. One year of work as an Estimator, Designer or Draftsman may count toward the requirement or if the contractor has built 2 or more houses with an owner-generated permit. Proof of general liability insurance, and worker’s compensation insurance if the contractor plans to employ workers. Proof of registration with the Colorado Secretary of State if the contractor is doing business under a name other than their legal name. Question: How do I register my construction company in Colorado? What forms do I need to register my new company Colorado? Question: How do I look up a company in Colorado or see if a company name is available to register?